When groups spend a week building homes alongside families in need through The Fuller Center for Housing’s U.S. Builders program, it’s a mission trip that involves plenty of physical labor. In other words, it’s no day at the beach. 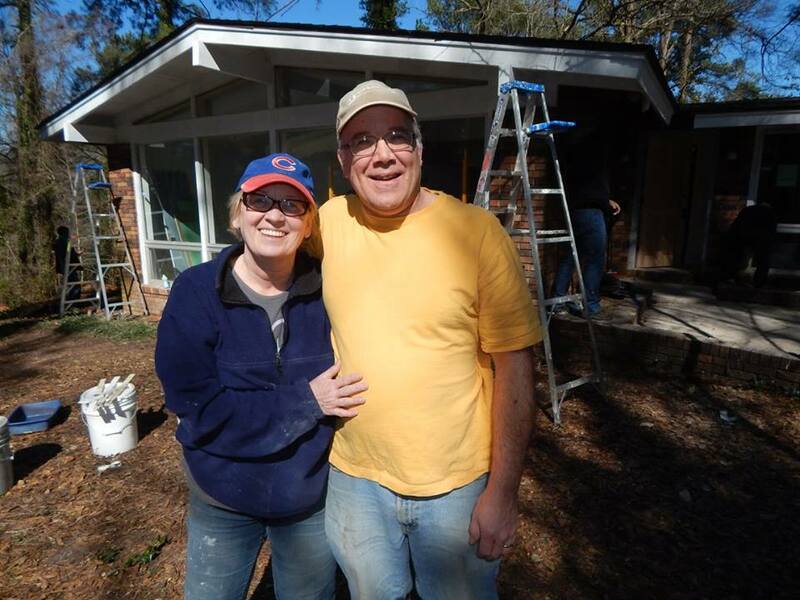 But that’s just fine with people like David Burgener, one of 28 members from St. Peter’s United Church of Christ of Elmhurst, Ill., who spent last week renovating a once-vacant property in Macon, Ga., that will soon be home for a family of five. This is the fourth such mission trip he has taken with his wife, Claudia, through St. Peter’s, although they do other service work in their local community. The Burgeners and their fellow church members were renovating a three-bedroom, two-bath brick home built in 1959 that had sat empty and deteriorating for years. Wells Fargo donated the property to The Fuller Center for Housing of Macon, Georgia through its Community & Urban Stabilization Program (CUSP). 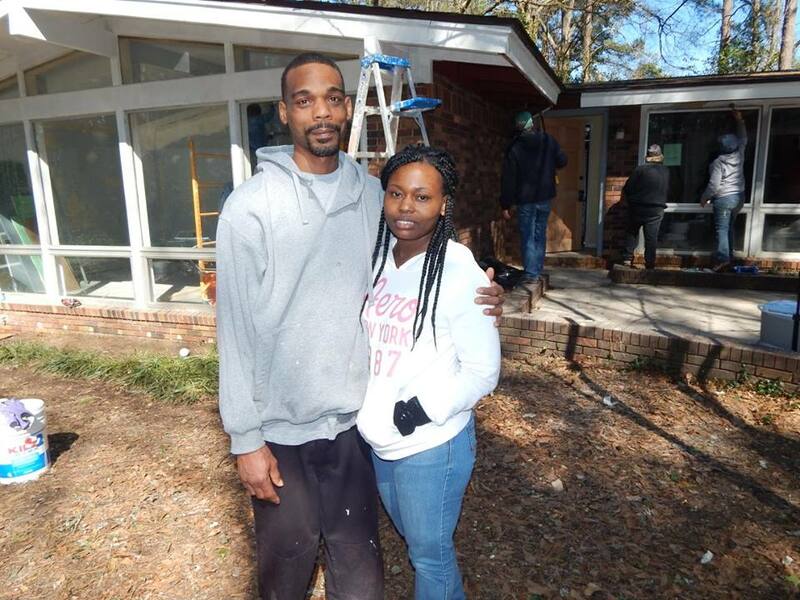 The Fuller Center will turn the property into a like-new home for Adrian and Thomas Redding and their three children through the Save a House/Make a Home program. While it may have had good bones, there’s a reasons the Matthews Drive property was donated to the nonprofit. Years of neglect took their toll on the house and the surrounding property. The team from Illinois made tremendous strides, but there still will be plenty of work for volunteers who will be on site March 19 for a one-day build event to celebrate Fuller Center co-founder Linda Fuller’s 75th birthday. 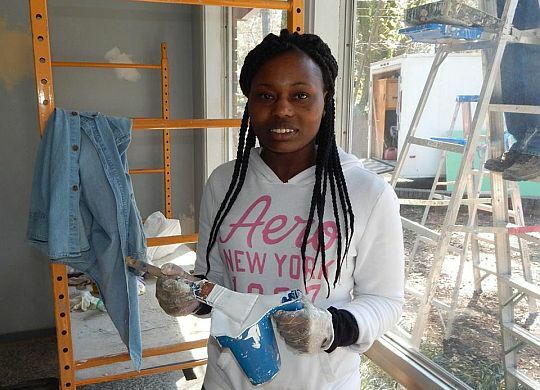 Volunteers and families develop a strong bond during such builds, partly due to The Fuller Center’s requirement that families perform “sweat equity” hours working alongside volunteers in the construction or repair of homes. That bond grew even stronger with this group on Thursday when the Reddings’ three children were presented with three new bicycles purchased with the support of a nonprofit in Illinois called New Bikes for Kids. While several members of the group had worked on multiple mission trips like this one, Carol Jones was on her first — for good reason: In previous years she could not pull away from her job as an educational assistant for a multi-needs classroom at a local high school. While the bonds with the family are important, mission trips like those taken with The Fuller Center’s U.S. Builders and Global Builders programs also are an opportunity to strengthen ties within the team. “Working with The Fuller Center is working out great for us,” said June Nikoleit, one of the more experienced members of the team. “We’re able to stay together as a group and get to know the community. We’re so overwhelmed with the graciousness of the people of Macon. It’s been a wonderful, welcoming week for us.